Eynsford Castle is a little known 11th century ruin, hidden away from the bustle in the Kentish village of Eynsford. 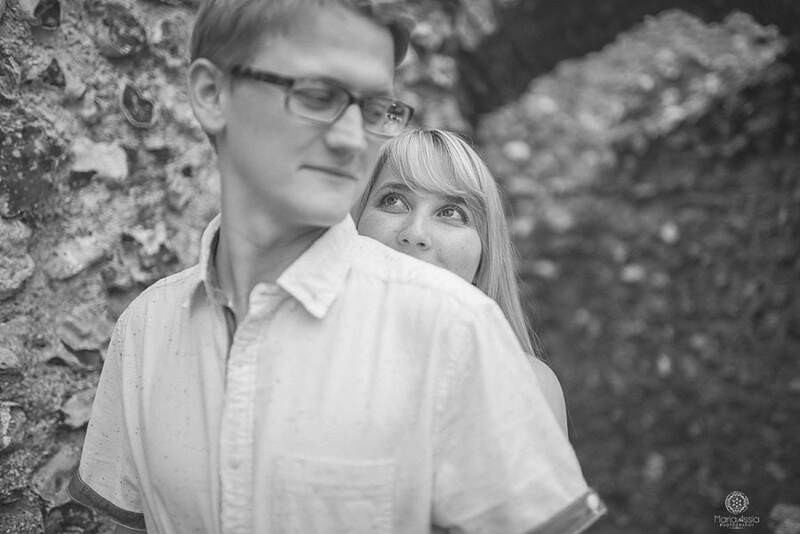 There isn’t much left of what once must have been a very striking and impressive castle, but Eynsford Castle is a great place to come for a play and picnic with the kids, for a maternity shoot, or for a couple shoot or engagement shoot. 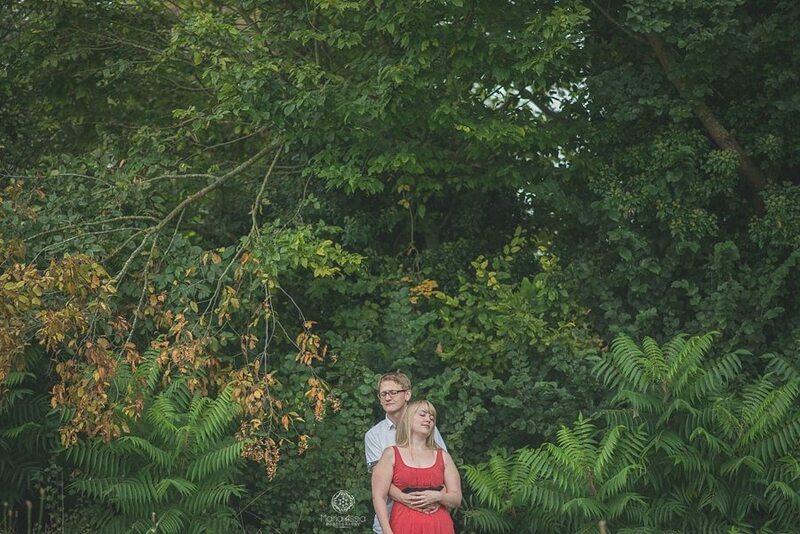 That is exactly what Verity and Chris thought when we spoke about possible locations and decided to have their pre-wedding shoot at Eynsford Castle. 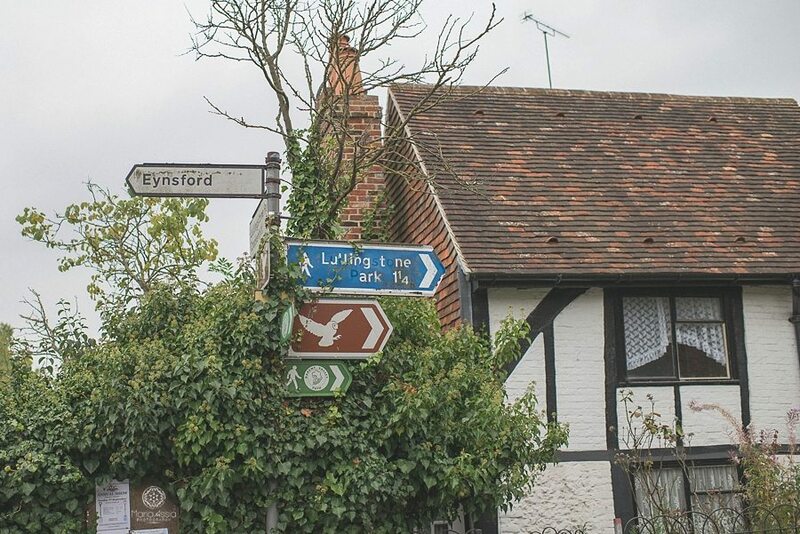 We lucked out with the weather and after a nice chat and a hot cup of tea at the close by pub to loosen the nerves (I’m always up for a cuppa and a natter), we went for a walk in the Eynsford countryside. 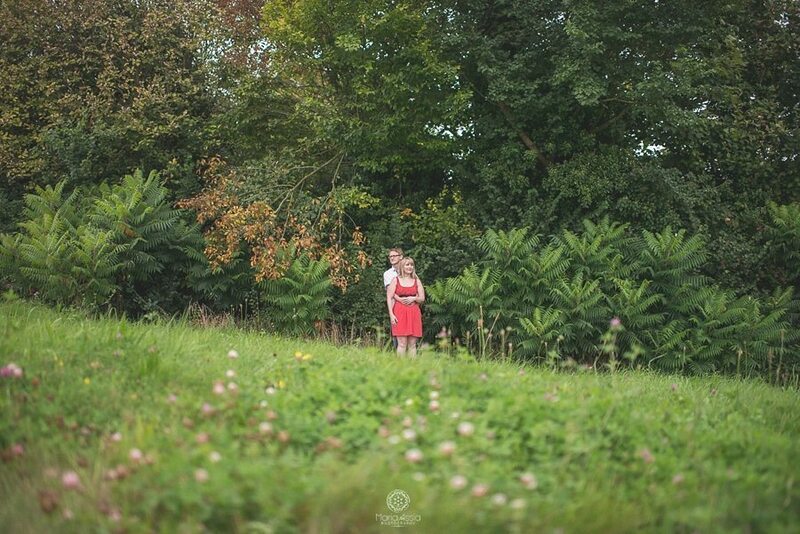 First we headed up into one of the nearby fields overlooking the Kent downs and the Eynsford viaduct. It’s as glorious there on an overcast day as on a sunny day. Then we made our way to Eynsford Castle and had a great time discovering the ruins and joking around. Chris is a children’s entertainer by profession and I can see that he is a good one. Rarely have I laughed quite so much and I can imagine him being a fantastic daddy to Verity and Chris’ little daughter. Verity is absolutely lovely, and we even managed to sneak in a little chat about her wedding dress while Chris stepped away for a minute. 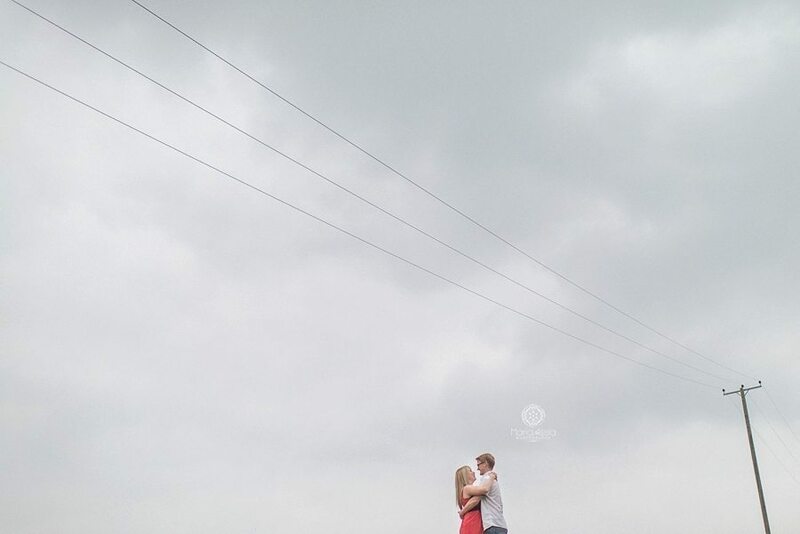 I love sharing these moments with my brides and I feel as excited about their choice as they do. And just as their wedding day, it was So so nice! 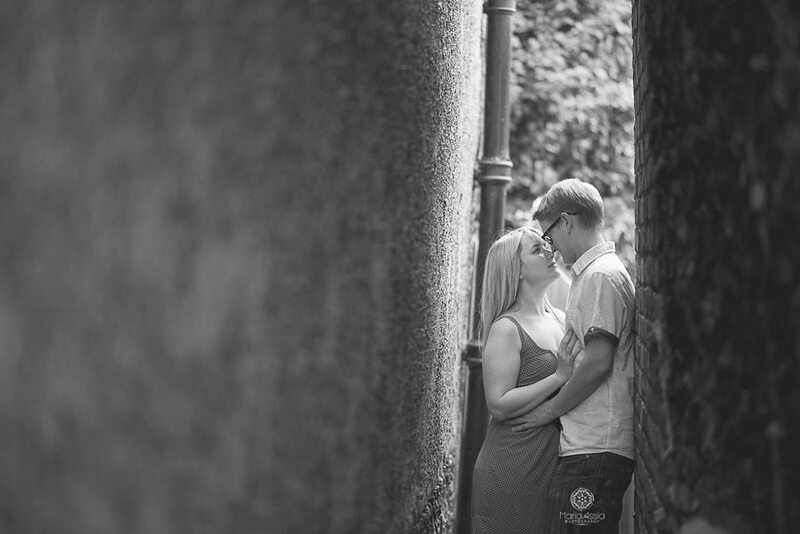 Here are a few of my favourite frames from their Eynsford Castle engagement shoot. Where will we go for yours?